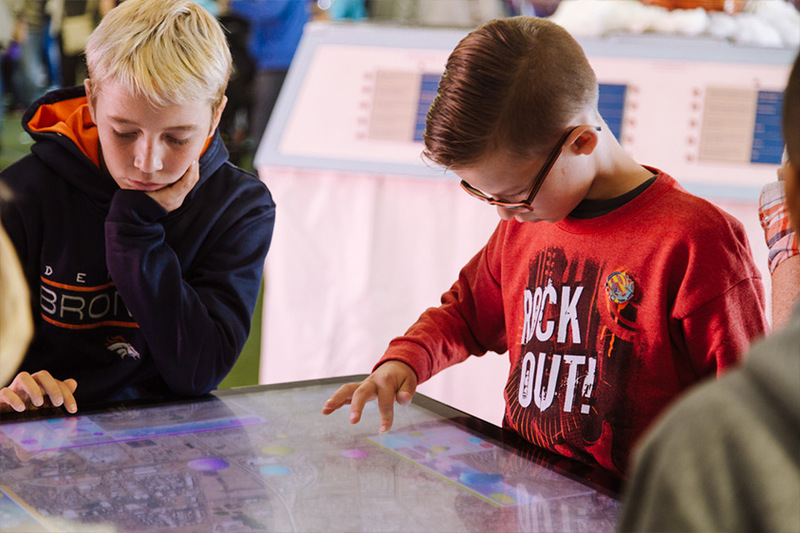 Ideum, in collaboration with the Albuquerque International Balloon Fiesta, designed an interactive hot air balloon application to engage children and adults of all ages. 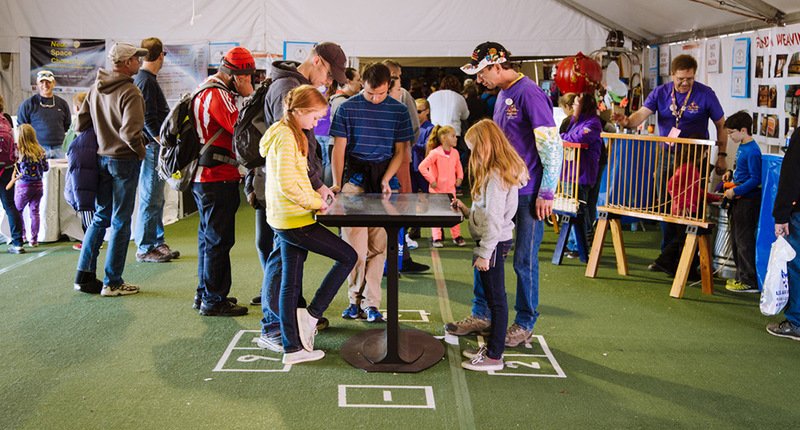 The interactive is an up to 6 player Hot Air Balloon Target Competition game. 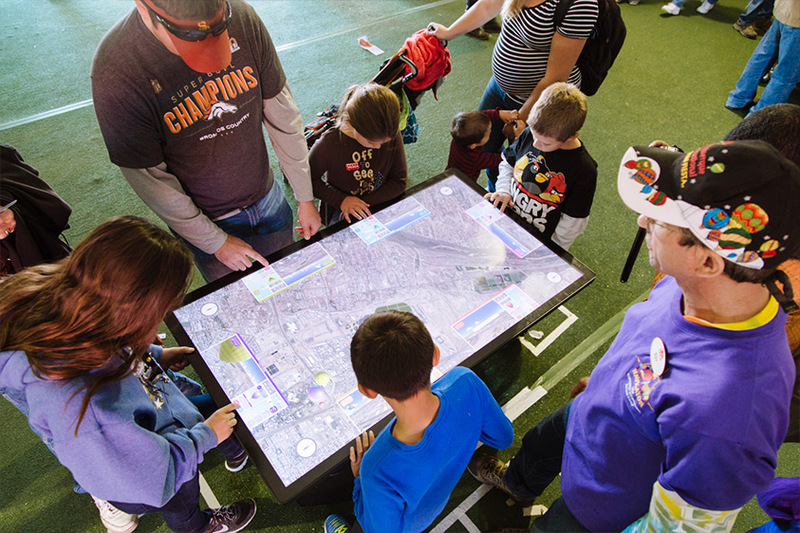 The goal is for each player to strategically pilot their balloon to the Balloon Fiesta Park by flying at altitudes with wind directions that will guide them to the field, where they try to drop a baggie as close to the target as possible. The player who drops their baggie closest to the center of the target gets the most points. 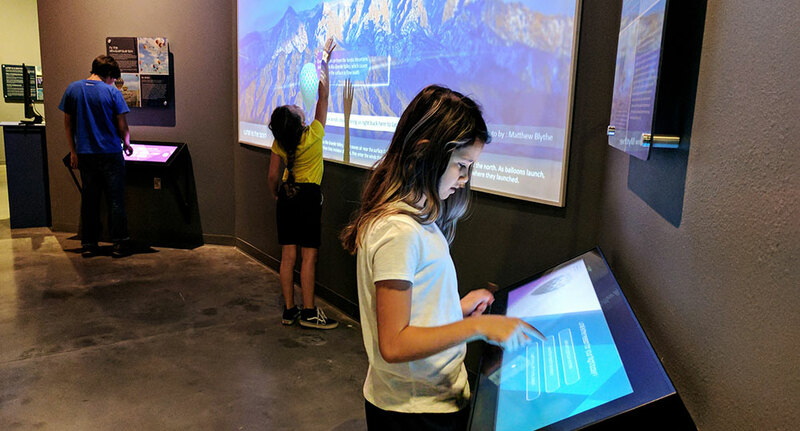 The game successfully demonstrates what is known as the “Albuquerque Box,” which is the relationship between altitude and wind direction, and why Albuquerque is such a great place for flying balloons. 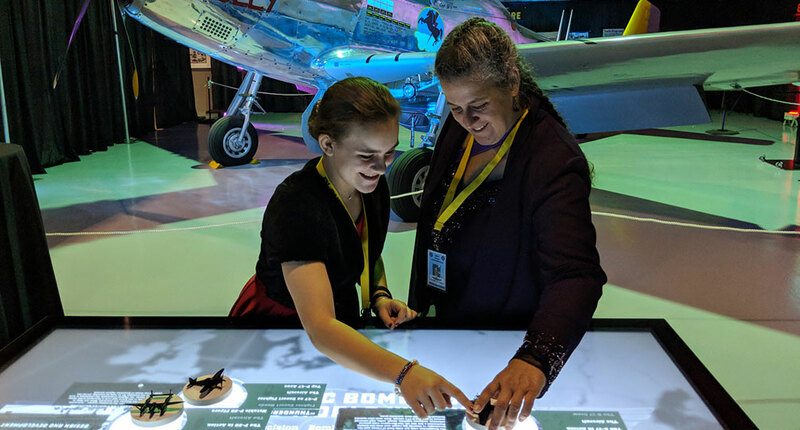 The interactive was installed on a rental Ideum Platform 65” table. 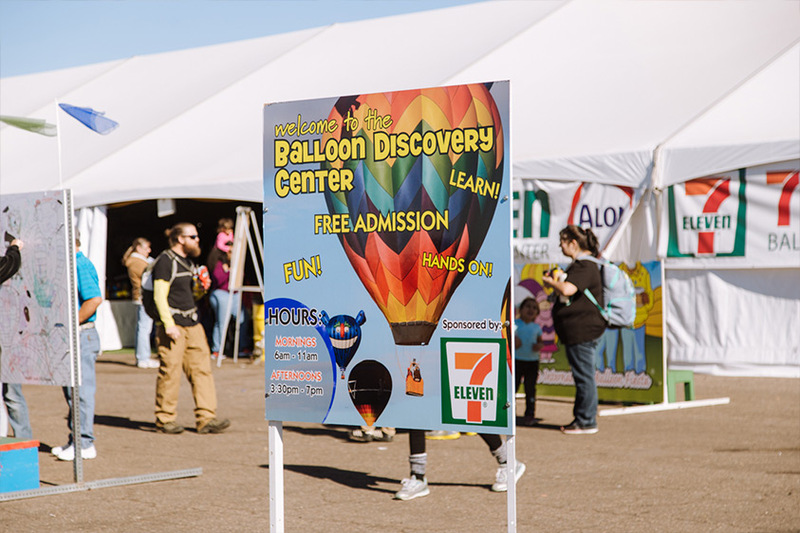 The Hot Air Balloon Target Competition interactive was displayed in the 7-Eleven Balloon Discovery Center throughout the 2016 Balloon Fiesta from October 1-9 and was featured on KRQE 13. 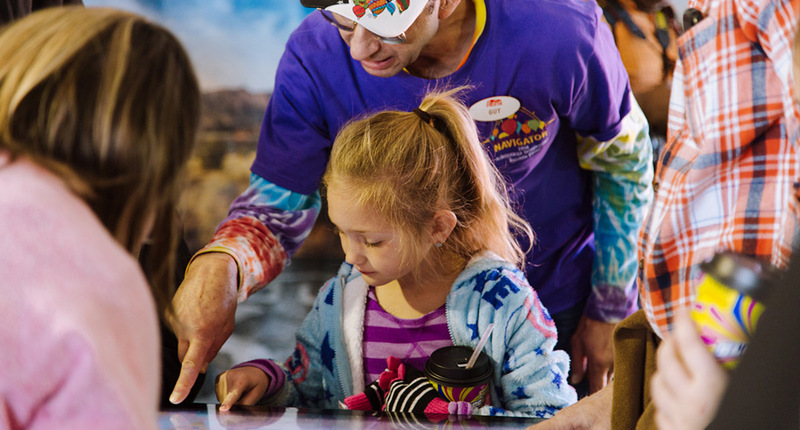 Ideum is proud to work on local projects and provide custom experiences for special events. All Ideum hardware and custom software is designed and built right here in Corrales, New Mexico! Players fly over Albuquerque to reach the target zone. Young pilots control their balloons' altitudes. The exhibit was hosted throughout the 2016 Balloon Fiesta.